Most books on cacti are for the general public. “Columnar Cacti and their Mutualists-Evolution, Ecology, and Conservation,” edited by Theodore H. Fleming and Alfonso Valiente-Banuet is different. It doesn’t tell you how to grow cacti, and it doesn’t contain color photos. Instead, it does something even more important. It takes up where the popular titles stop. This book puts the plants into the context of their native habitat, and explains their relationship to the others within their communities, and shows why plant conservation measures are needed to benefit everyone involved. This scholarly, authoritative title is an important contribution to the literature on cacti. Covering the geology, evolution, anatomy, physiology, ecology, and conservation of these plants, it is the most comprehensive volume available. It begins with an evocative chapter on the environmental history of the Sonoran Desert. Published by the University of Arizona Press, this worthy book contains contributions from experts in the U.S. Mexico, Columbia and Venezuela. These researchers present their latest findings in the evolution, ecology, and conservation of these cacti and the animals that depend upon them. In particular, they explore the relationship the plants have with particular animals, which serve to pollinate the plants and disperse their seeds. The relationship between the plants and animals is mutual—that is, they mutually dependent upon each other. So the animals that depend upon these plants are known as mutualists. The plants depend upon the animals to pollinate and disperse their seeds, while the food supply from the plant in the form of pollen, nectar, and fruits are essential to the animals’ well-being. This ground-breaking book explains this, and gives details as to why conservation measures are needed to ensure that this mutual relationship can continue. The book summarizes the recent studies of researchers ranging from the Sonoran Desert to the northern Andes. As a result of this research, we now have a greater understanding of the different factors that influence the plant communities and their mutualists. 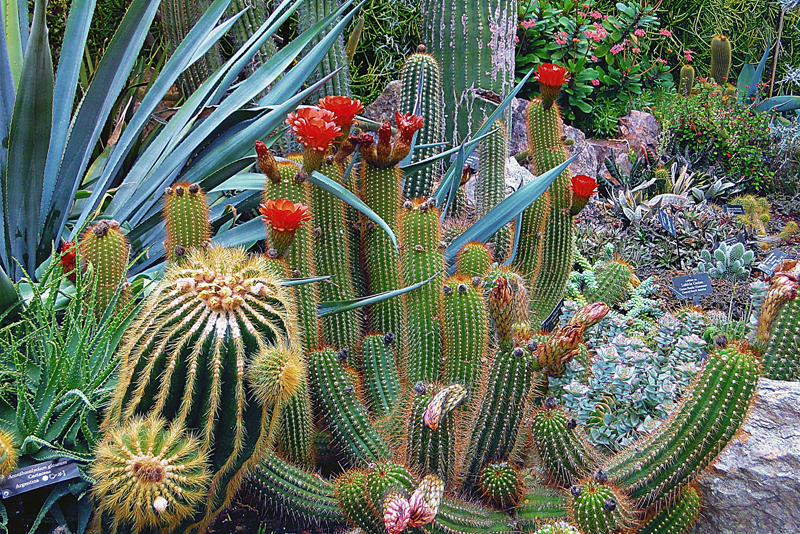 This remarkable volume provides an in-depth look at the pollination of the columnar cacti in particular. It explores the relationship of the New World bats to the plants. They pollinate the plants, and the study of this subject is known as pollination ecology. In that respect, this book is unique, since no other publication provides up-to-date information on this subject. Another section of the book looks into humans’ relationship to the plants, and how we have modified the plants for economic purposes. For serious cacti lovers, this is the best and most comprehensive book available on the columnar cacti.